When I saw this title on sale for $16 (normal retail $24.99) during a recent Oculus Store sales event, I knew I had to at least give in a whirl. Little did I know what a polished and positively fun little game I was getting. 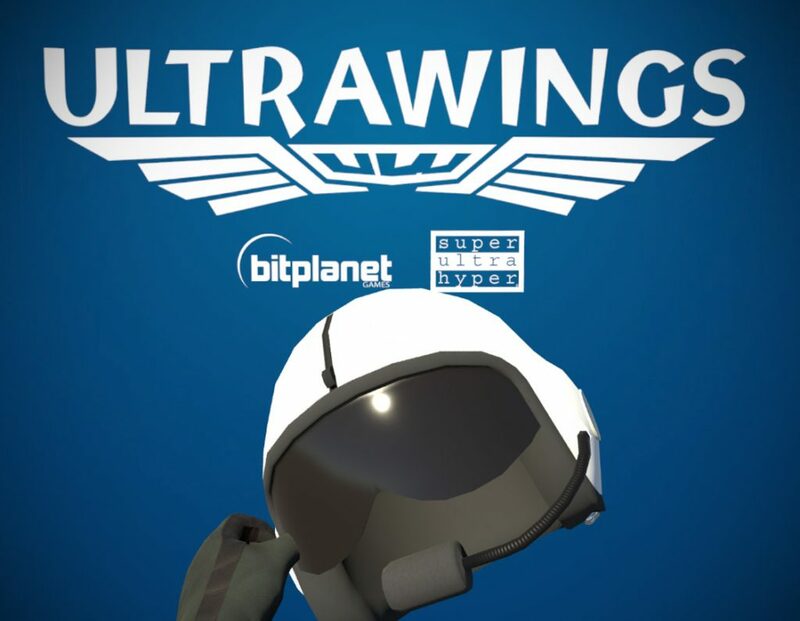 Ultrawings puts you in the virtual cockpit of a few different light aircraft as you work your way through a career mode trying to accomplish different challenges while upgrading your bases and vehicles. 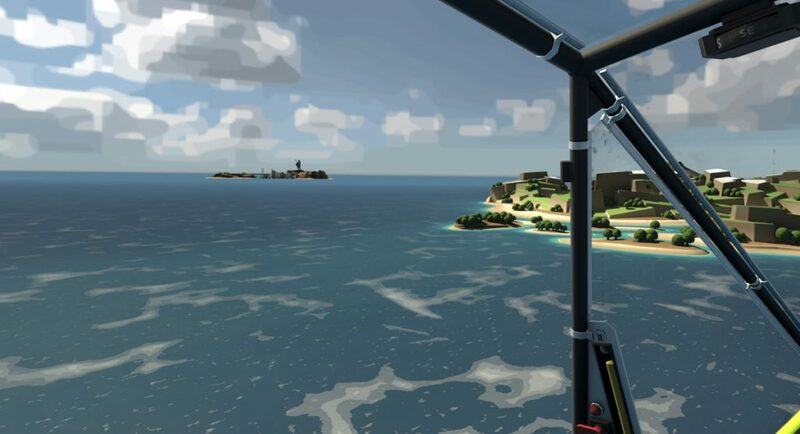 The gameplay is varied enough to play for a dozen or so hours, and the VR experience is a pretty good one for experienced VR users and can be a good introductory VR experience for newcomers. More on that later. 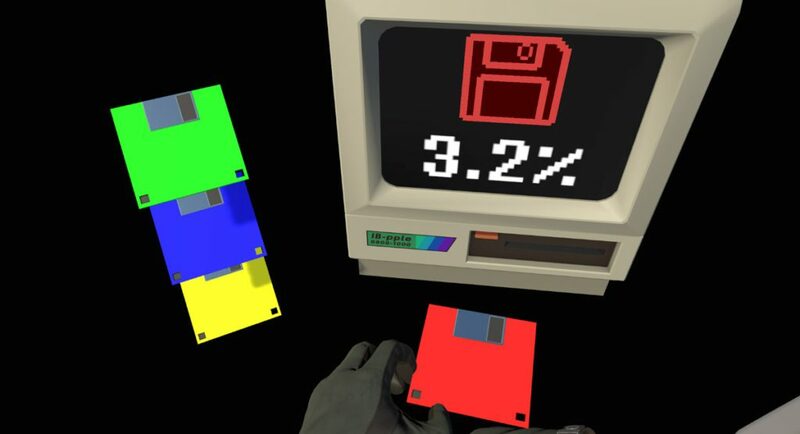 In the opening scene you are sitting in front of an old computer with floppy disks that you feed into the computer to load your saved games. 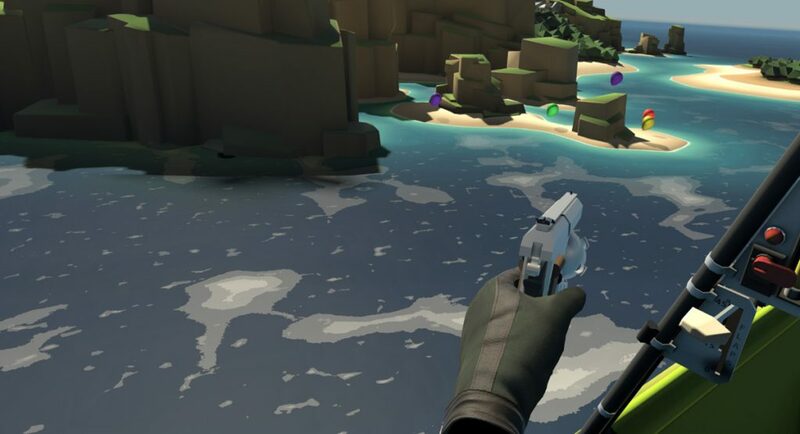 Despite having had VR for many months now, the surreal experience of handling things in VR still tickles me in a profound way. 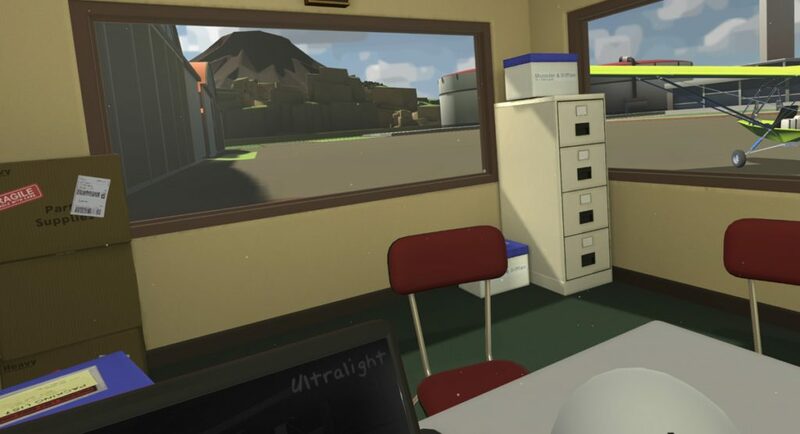 Once you load your saved game, you are plopped into an office, sitting in a chair in front of your laptop computer. 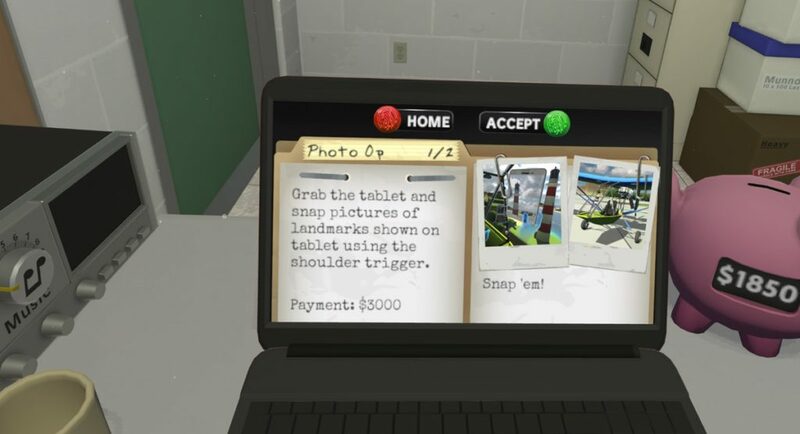 You use the touchscreen on the computer with your finger to select what you want to do: Training, Course, Pop, Freeflight, Photo, and some other mission types. You start the game with no cash (your account value is written on the piggy bank on your desk) and you proceed through challenges of different types to earn money. The better your score on challenges (bronze, silver, and gold) the more money you earn. 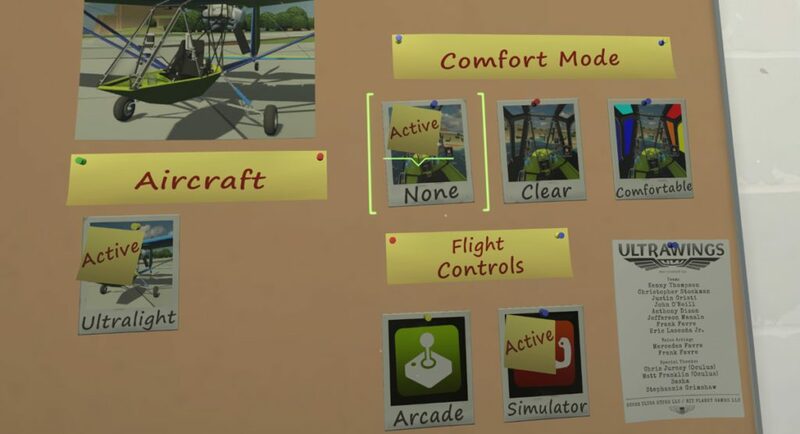 Or, you can just choose free flight mode and tool around on your own. 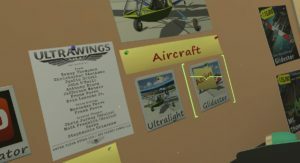 It is also in your office that you can set things like how difficult you want the flight controls to be, what aircraft you want to fly (if you have earned another one), and also what “comfort mode” you’d like to fly with – this can be useful for people that get VR sickness due to the peripheral motion that VR gives. The different comfort modes add a more segmented canopy, or even darken out portions of the canopy that you are not directly looking out to eliminate periphery motion. I chose “NONE” and was generally fine with the experience. 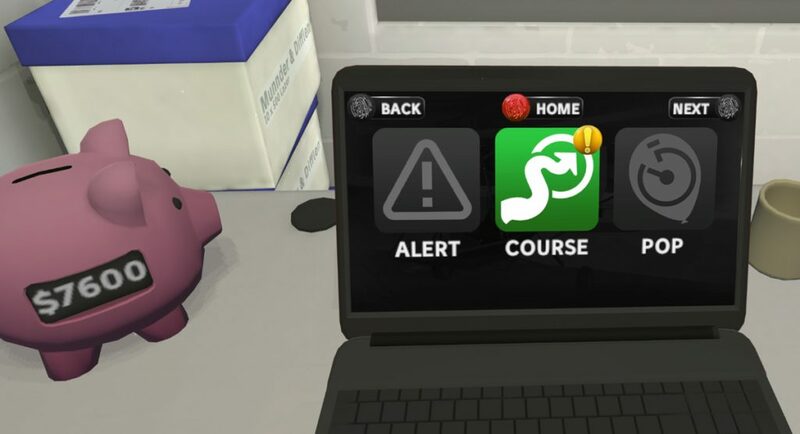 Your first few missions will be tutorials on how your Touch controllers work in the game. 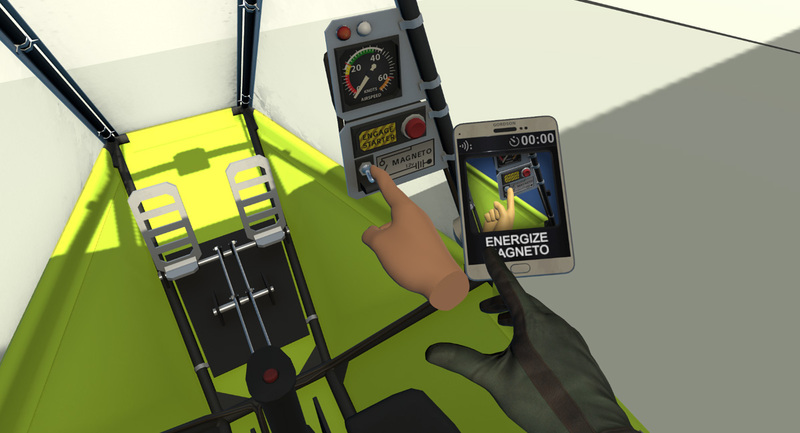 To no great surprise, your display in VR shows your gloved hands with which you can grip things by squeezing the Touch squeeze grip, or move items in the cockpit by pointing and flicking them with your finger. 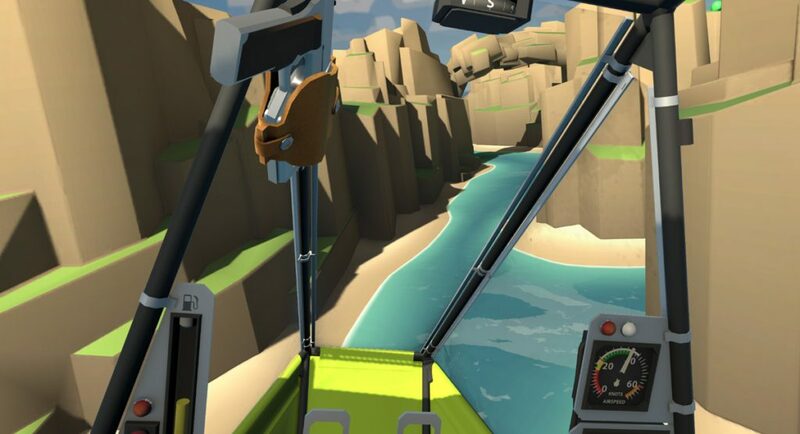 The game starts with an ultralight, and the controls are basic, but immersive. 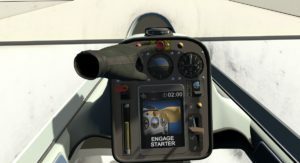 The normal order of operations is to reach up, twist the fuel supply valve on, turn the magnetos on with a flick of the finger, then hit the starter button. The engine will sputter to life. 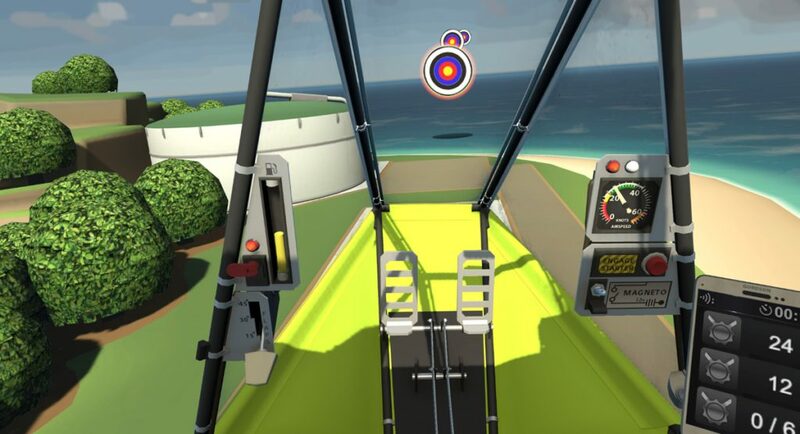 You can grip the stick with either Touch controller, but since the throttle is on the lower left, it is most natural to grip the throttle with your left hand and the stick with your right. Instructions will appear on a small tablet/smartphone that you can pick up and move around if you want. The first things you do – and something you do on many of the challenges, is fly through rings. Yes, some of you know my opinion on the whole “fly through rings” thing..but in this case, it serves a purpose, and even some of the later challenges are pretty well…uh..challenging. 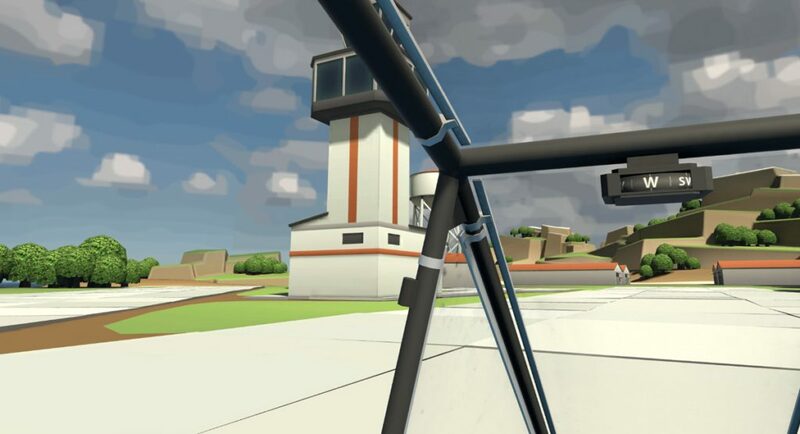 Using the Touch controller to grab the stick is intuitive, although after a bit of flying you’ll come to realize how much a hardware stick is relied on as far as relieving the weight of your hand. That said, most of the missions and challenges in the game only last a few minutes, so there isn’t really a concern about ongoing fatigue. You can grip the throttle, move it and manipulate it constantly, or you can set it and let go of it if you want..and revisit it later if you want to make a power change. 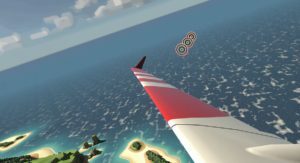 Rudders are controlled with the left Touch mini-stick – an action that quickly becomes second nature, but I also found large rudder inputs to be a bit unsettling (as in VR sickness inducing). 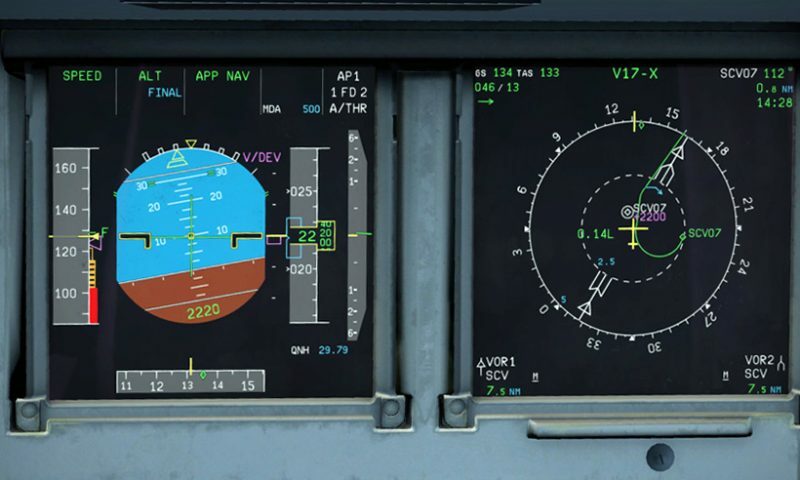 Most other maneuvers, including maneuvering while looking around, did not bother me at all..but for some reason the rudder inputs, if they were large and uncoordinated, had a mind tricking feeling. 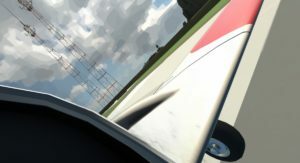 Flaps are selected by grabbing the flap lever, and moving them to whatever setting you want, and the flaps definitely cause a pitch change and aerodynamic change to the vehicles. It was mildly frustrating to see them mapped to zero being at the bottom, and full flaps being all the way up, but that was a minor complaint. 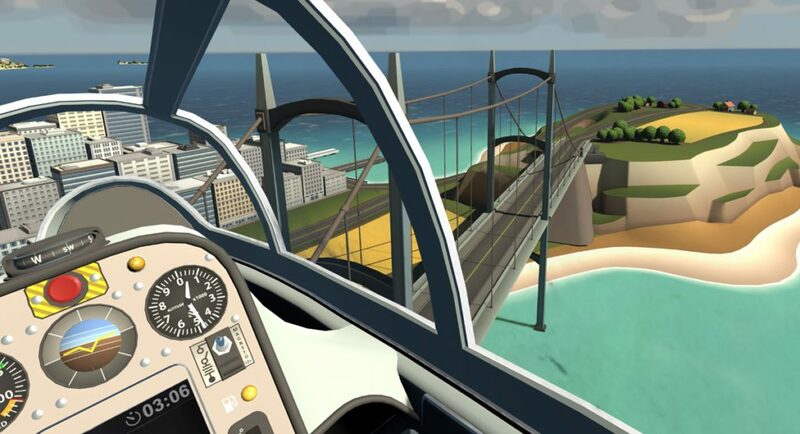 The ultralight takes off in no time, and you will hear the buzz of the engine and the wind blowing in your headset. 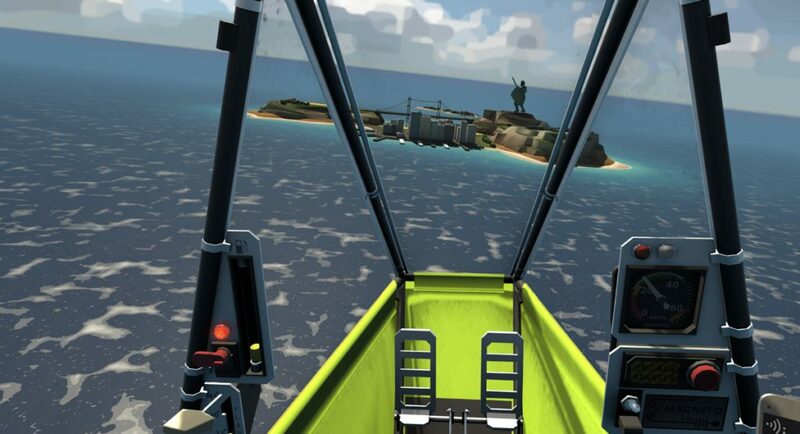 Looking around was flawless with no jaggies or tearing even with the highest super sampling settings in the Oculus Tray. 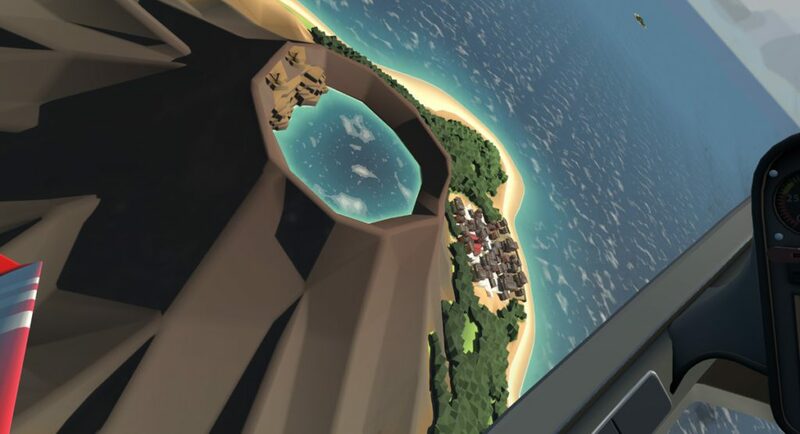 This is no doubt due to the simplified visuals that are like a better version of Minecraft. 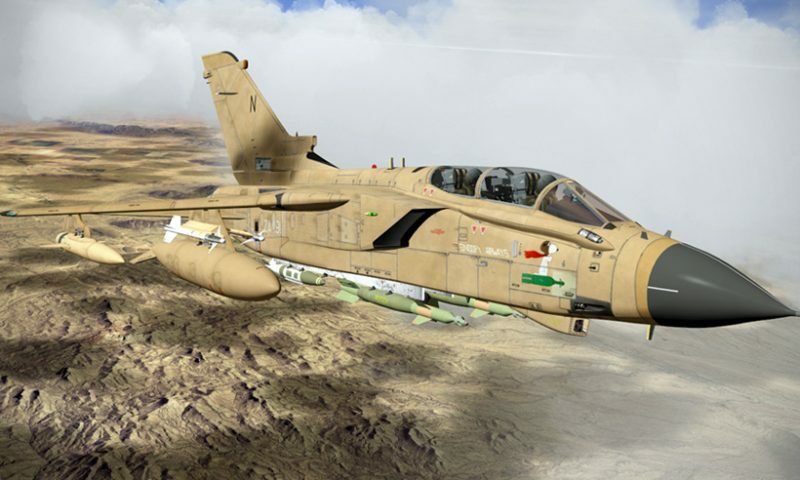 The graphics work fine in the spirit of the game – this is not DCS World or FSX. 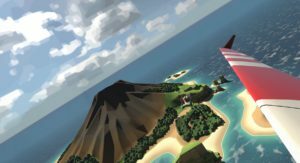 There are several islands to explore with a different feel for each (city-like, volcano like, etc.) but make sure you have enough fuel to make the crossing between each or you might run out of gas on the way. 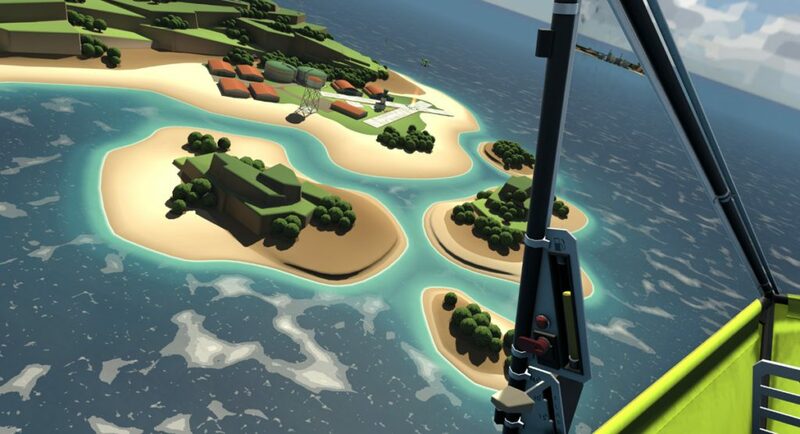 Airports exist on each island (some have multiple) and you can refuel at the airports or, if you have earned enough money, you can buy a new base at the different islands. 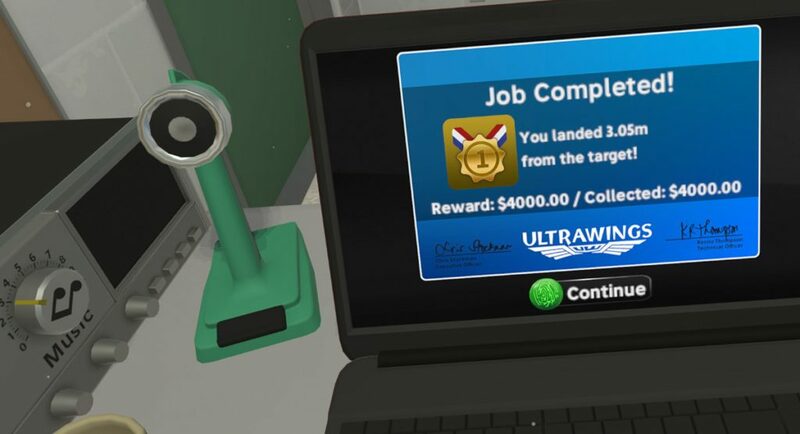 As you earn money, travel, and buy other bases, your office view will change to those new locations and new challenges and missions will populate your laptop. 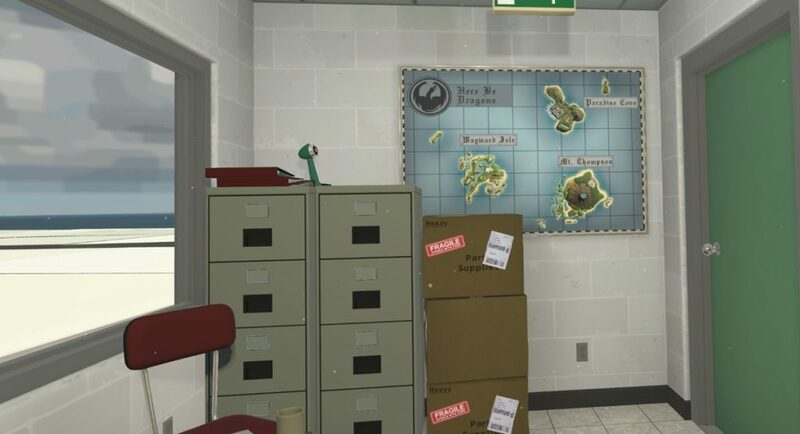 Some of the missions are really unique and play into the strengths of virtual reality and the ability to manipulate things with your hands. Photography missions will have you flying with one hand, and trying to hold the tablet in your other hand to take photos of landmarks. 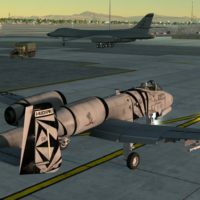 It sounds straight-forward enough – but even master level DCS players might feel a bit task saturated at some points during these missions. And what is that? Is that a gun mounted on the frame of my ultralight??! 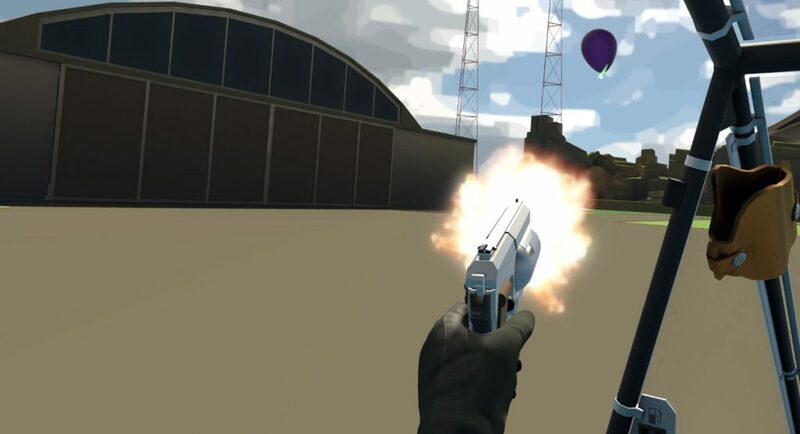 Reach up, grab that puppy, and start shooting balloons! 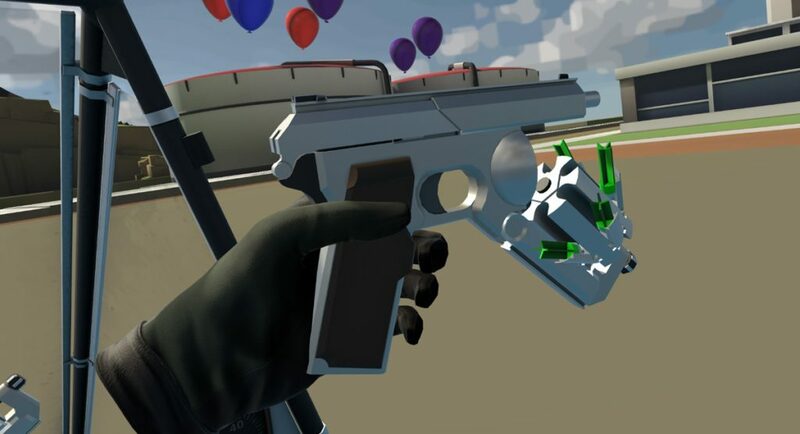 Again, it is hard to describe how fun VR is in this respect, but the feeling of the gun being an extension of your actual hand is uncanny. When you run out of bullets, a quick snap of the wrist reloads and you are back in business. 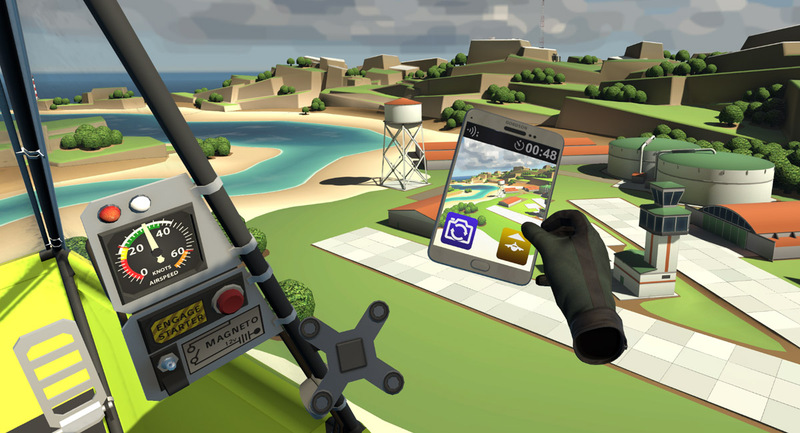 Oh, and don’t forget to keep flying and watch out for that tower! Once you’ve earned enough money ($15,000) you can think about upgrading your fleet. 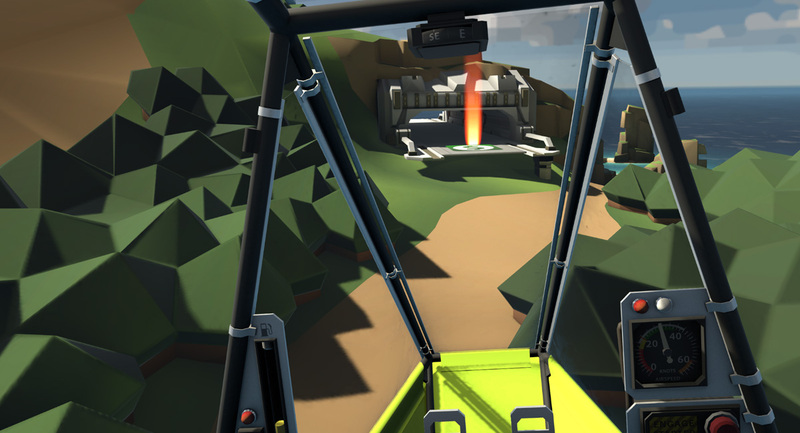 The rocket powered Glidester is phenomenally fun and definitely channels my inside “Right Stuff” desires. The Glidestar has a push button rocket that fires for only about ten or fifteen seconds, boosting your speed, but then it kicks off and you have to manage your energy until you want to hit it again. 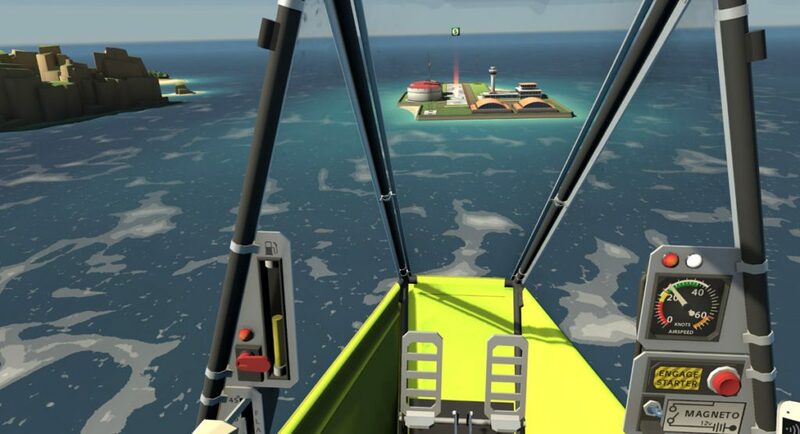 With a limited number of button pushes, it is great fun to ride this rocket up high, then float down keeping an eye on your airspeed to manage the unpowered landing at an airfield. 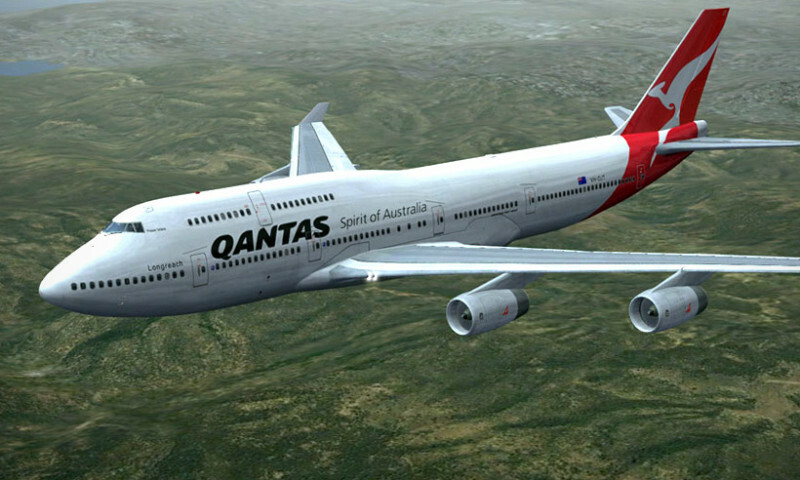 With the new aircraft comes new (harder) challenges. 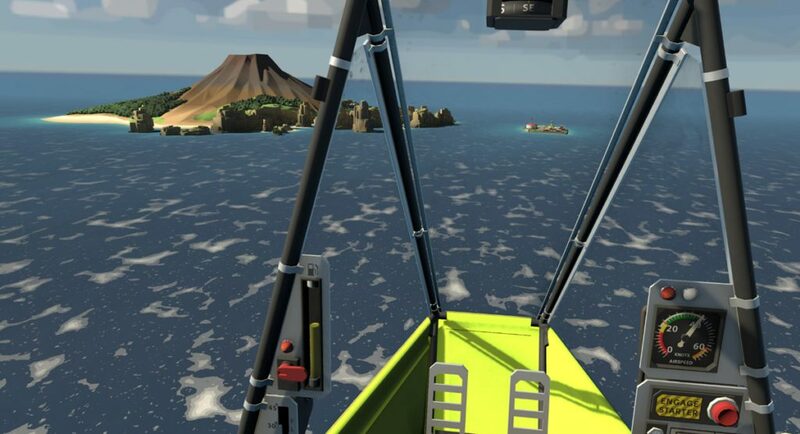 One of my favorites involves boosting up to high altitude above the volcano island and having to manage your energy throughout a pattern of several groups of rings all the way down to the landing zone. 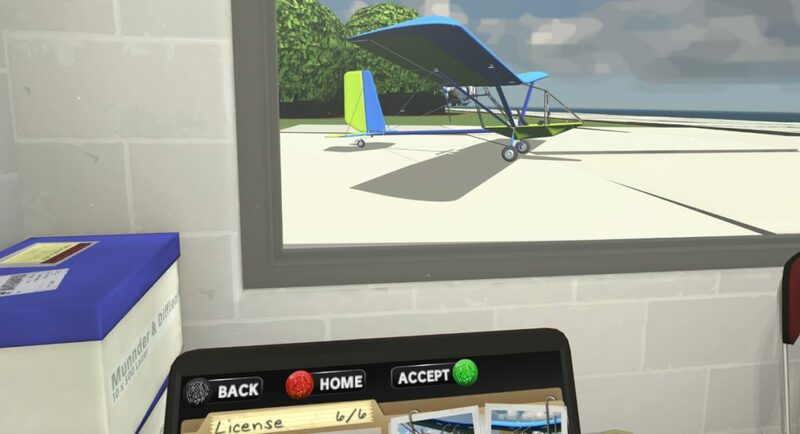 It is really fun and the added spatial awareness that is inherent to VR is used to good effect on these types of missions. 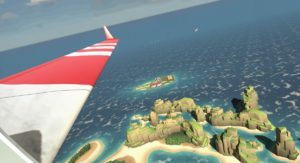 All in all, Ultrawings VR is a super fun game for Oculus owners. 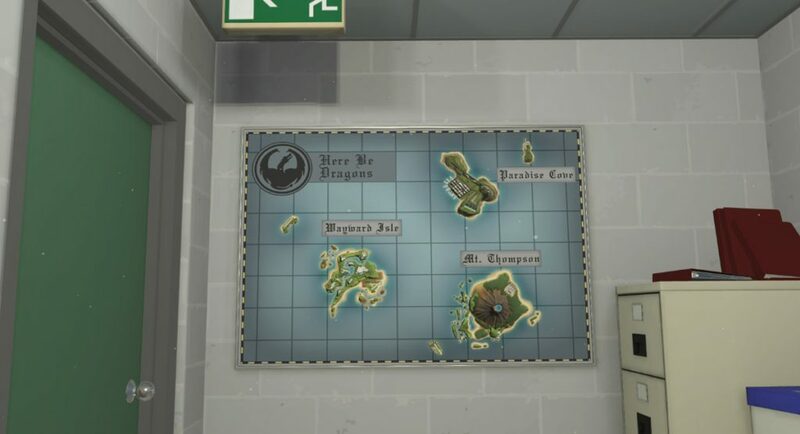 The possibilities for further gameplay and expansion are limitless if the developer wanted to go in that direction. 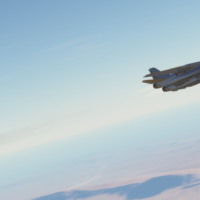 I think some harder landing challenges, weather, flight control failures, and multiplayer dogfighting would really make this even better, but for an introductory product, I think they did a fantastic job. 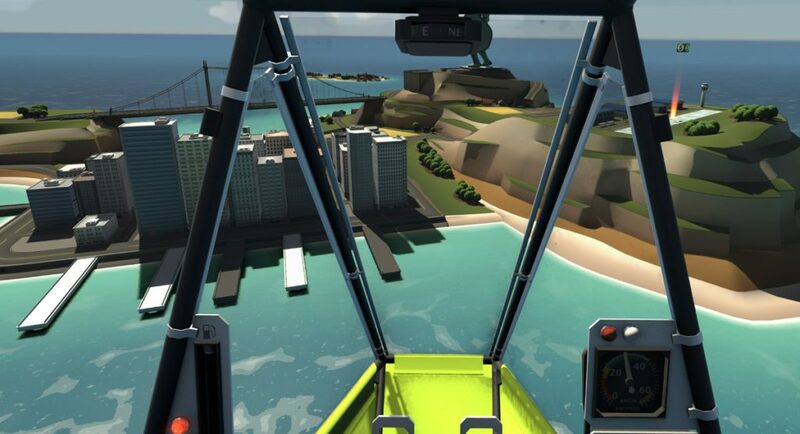 I take it personally that you didn’t mention Pilotwings 64. 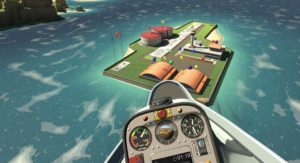 Beside that I’m impressed you managed such a nice review and didn’t have to mention Pilotwings 64. 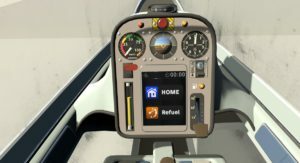 First thing I thought of when I saw the headline pop up was Pilot Wings. Thought I picked this up but I didn’t. I’ll pass for now though it looks interesting. Way too much stuff in my library lately. 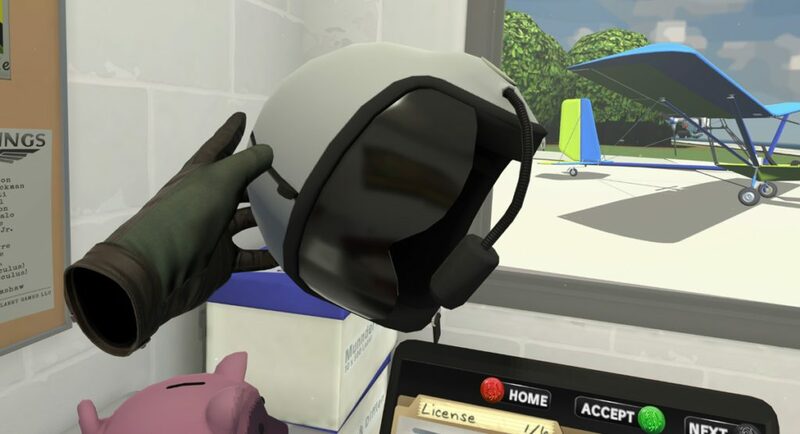 Thanks for the info - just bought this, Now I have a few new VR sim/games and no time to play them!